This entry was posted in Midd Blogosphere and tagged LIS Staff Interest, Middlebury Community Interest on June 21, 2013 by Marlena Evans. 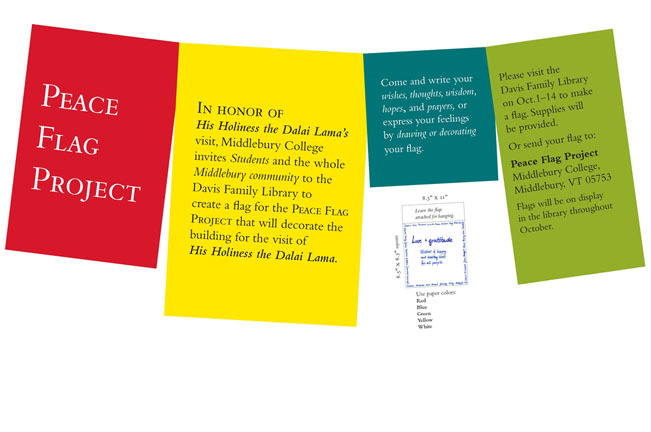 Students and the whole Middlebury community are invited to the Davis Family Library to make Tibetan peace flags that will decorate the building for the visit, October 12-13, of His Holiness the Dalai Lama. and prayers, or express your feelings by drawing or decorating your flag. Tables with flag-making supplies will be set up in the library lobby from Oct. 1-14. 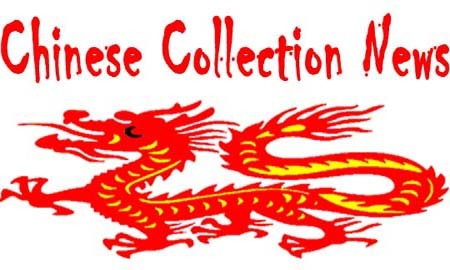 Flags will be on display in the library throughout October. This entry was posted in Midd Blogosphere and tagged Dalai Lama; Library; Tibetan Peace Flag; Peace Flag Project, For Faculty, For Staff on September 21, 2012 by Marlena Evans. This entry was posted in Midd Blogosphere and tagged Chinese Collection, Library Spotlight, LIS Staff Interest, Middlebury Community Interest, Research & Collection Services on January 23, 2012 by Marlena Evans.